Last Black Friday, retailers raked in over £6.4bn across the sales week and, on the day itself, British consumers spent a staggering £1.2bn in online stores. If those figures are anything to go by, retailers can expect to attract a mammoth number of sales once again in 2017. While the shopping day can be a goldmine for ecommerce retailers with promotions to offer, a great deal rests on your website (and, consequently, your cloud hosting provider) rising to the task of meeting this annual surging traffic spike and its associated demands. Here are five considerations to ensure your infrastructure is up to the task. Even a three-second delay in page load time can result in your consumers jumping ship to a competitor, according to research by T-Mobile, and conversion rates drop by 60% when product pages take longer than 10 seconds to load. It’s therefore critical that you can scale up resources such as RAM, CPU and bandwidth, so that on a day like Black Friday – where there’s going to be a sudden and fast spike in the number of people accessing your site to pick up your deals – you don’t risk losing out on your share of the extra sales. You’ll also want to ensure the platform being used is up to the challenge and reliable enough for visitors to place orders at peak times without running into unexpected problems. To do that, you’ll want to set up features like load balancing to prevent servers from being overloaded, as well as stress-test the environment beforehand – these are areas where your provider should be able to offer valuable insight. The freedom to scale up your cloud hosting resources to meet demands at busy times, and then scale down when it’s quieter is invaluable. By aligning CPU, RAM and storage allocations with your traffic/demand profile, you’ll ensure you’re never wasting money on dormant computing resources. Most providers will offer this kind of scalability, but some are more flexible than others and may be more or less cost-effective depending on whether your consumption is calculated daily or monthly – or even by the hour – so be sure to shop around for the best possible deal and fit for your business. Of course, the only thing worse than sluggish page performance is your website not loading at all, and if that happens for even a short period you can be sure that your sales will be stunted. To prevent this ahead of time, search for a cloud hosting provider who can offer you a sufficient uptime SLA and has a proven track record of delivering a high-availability service to their customers. While an SLA in itself doesn’t prevent downtime, a good one indicates the strength of confidence that your provider has to deliver a reliable platform. Where a service is protected by a decent SLA, it wouldn’t just be you counting the cost of downtime, and so you can be assured that measures will be in place to minimise the risk of downtime and protect the profits of your provider. Furthermore, if you really want to get into the nitty-gritty of how they protect their customers against downtime, find out what you can about how they manage their data centre and the redundancy measures they have in place. Along with resilient infrastructure, check that your supplier has the capability to provide you with easily restored backups to get you up and running quickly should an issue occur at this critical time, and also prevent your business losing any order data. You’ll need to ensure maximum security for you and your customers – and quite apart from compliance, it’s a question of customer confidence. A cloud hosting provider should be able to demonstrate their credentials in this area and explain to you how they secure customer data through firewalls, secure networks, consistent server patching and maintenance, and SSL certificates for secure transactions. 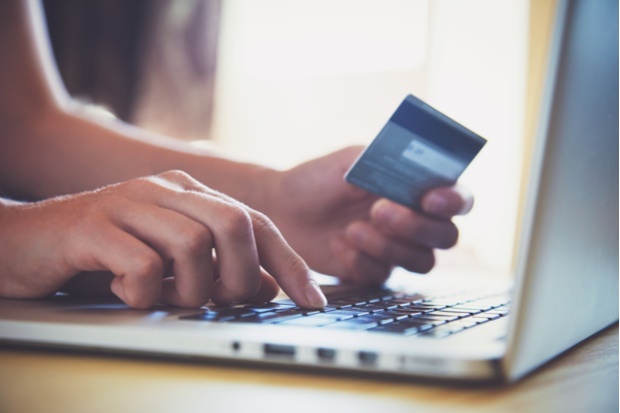 As an ecommerce retailer, it’s also likely that PCI compliance is going to be top of mind, so a provider who can assist you meet regulatory requirements for security audits is a must. In case anything goes wrong, such as unexpected disruption or lost orders, you’ll want access to fast and reliable support. Check that your provider has a dedicated (ideally on-site) support team – this way you’ll most likely be talking to people who already know you and your business – helping them to resolve your technical challenges much more quickly. Find out more about choosing the right hosting provider in our free guide.